This is a red Thunderbird wire wheel center cap. 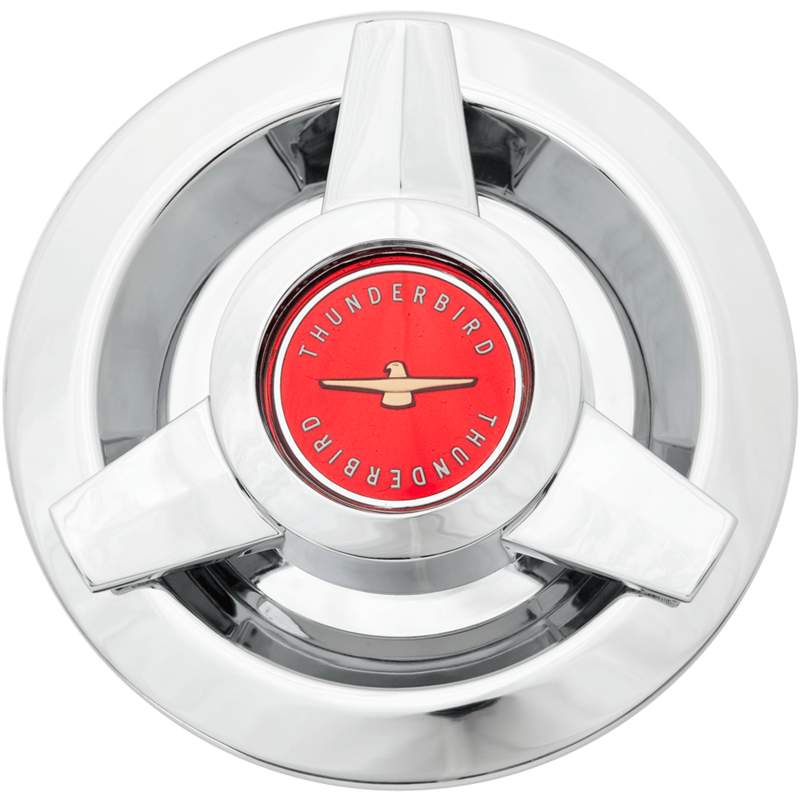 This authentic Thunderbird center cap gives a distinct knockoff style appearance with its three bar design. 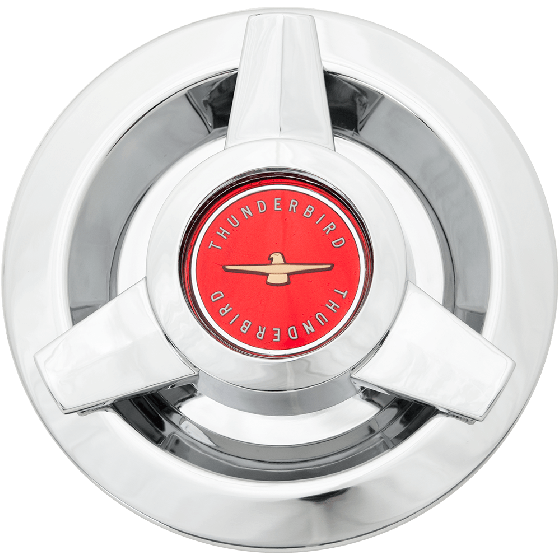 This Thunderbird wire cap with Red center fits our wire Thunderbird wheels, all sizes. Please check your actual wheels required cap fitment size. Do your center caps come in various back side diameters? The Thunderbird caps are only available 6" back diameters. Will these clear the skirts on a 1957 thunderbird? These caps are a known fitment with rear skirts when the rear axle is properly aligned under the body.